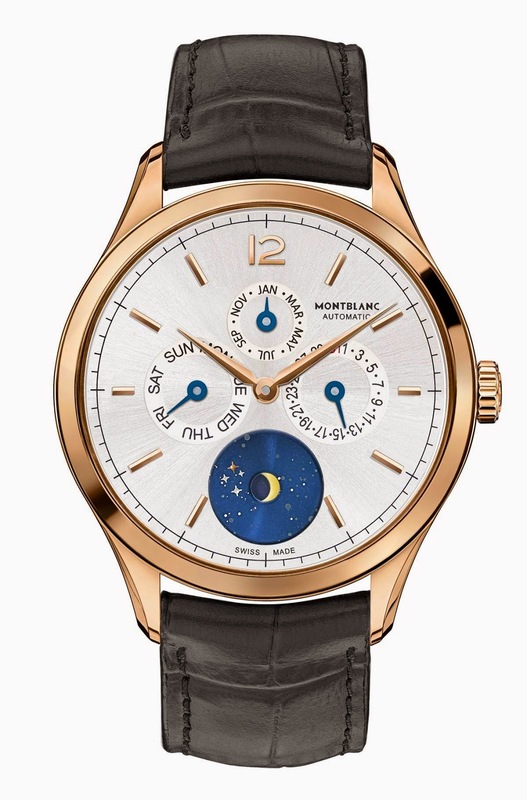 Montblanc's Heritage Chronométrie Collection includes an interesting and reasonably priced annual calendar watch. Showcased during the Salon International de la Haute Horlogerie 2015, the Montblanc Heritage Chronométrie Quantième Annuel Vasco da Gama requires an intervention to adjust the date only once every year. In fact, the annual calendar (or Quantième Annuel) automatically "knows" the lengths of all months from March to January. The watch will need a manual correction only on the last midnight in February to switch from the 28th or 29th of February to the 1st of March. 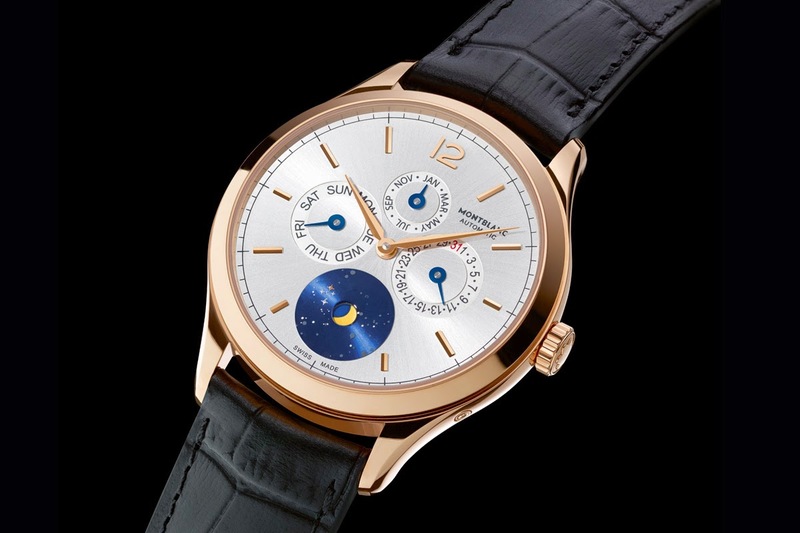 On all other days of the year, the watch provides accurate calendrical information via four subdials: one for the day at 9 o’clock, another for the month at 12 o’clock, a third for the date at 3 o’clock and a fourth for the moon-phase display at 6 o’clock which is embedded in a depiction of the firmament in the Southern Hemisphere as it appeared to the Portuguese explorer Vasco de Gama in 1497. 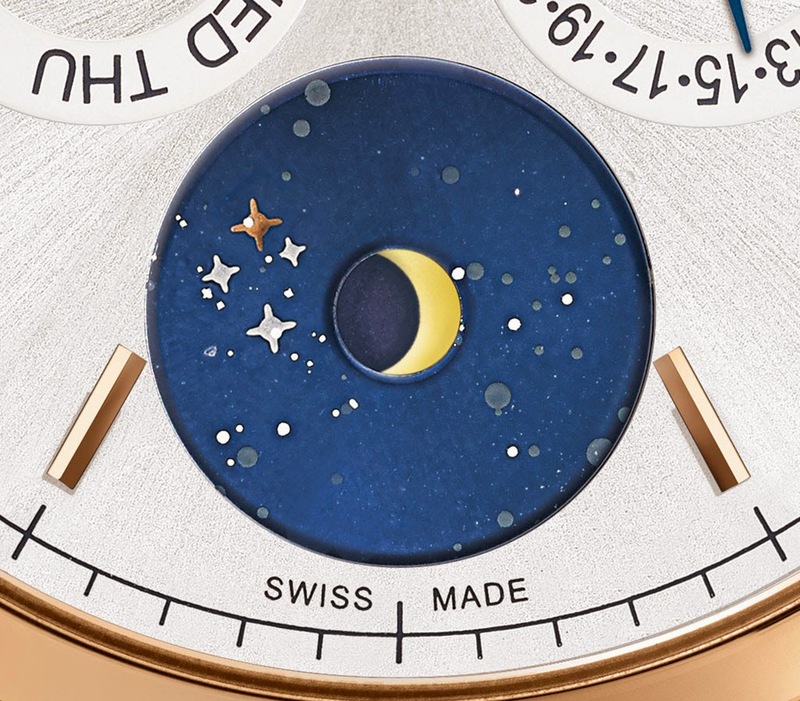 To display the phases of the moon, the blue-lacquered constellation holds an aperture for a golden turning disc below featuring the moon in the night sky. The annual calendar mechanism is encased in a 40-mm-diameter case that rises a mere 9.5 mm from back to front. The silvery white dial has a sunburst pattern; the gold-plated faceted indexes and the numeral “12” are applied to the dial. Two faceted gold-plated sword-shaped hands indicate the hours and minutes while the hands of the calendar indications are blued. A sketch of Vasco da Gama’s floating flagship, the São Gabriel, is engraved on the pane of sapphire crystal in the case back with the signature of the seafarer. The self-winding mechanical movement beats at 28,800 vibrations per hour and offers a power reserve of approximately 42 hours. Like all the watches of the Heritage Chronométrie Collection, the Quantième Annuel Vasco da Gama undergoes the Montblanc Laboratory test 500, a 500-hour examination which certifies the quality of each piece with an individual certificate. 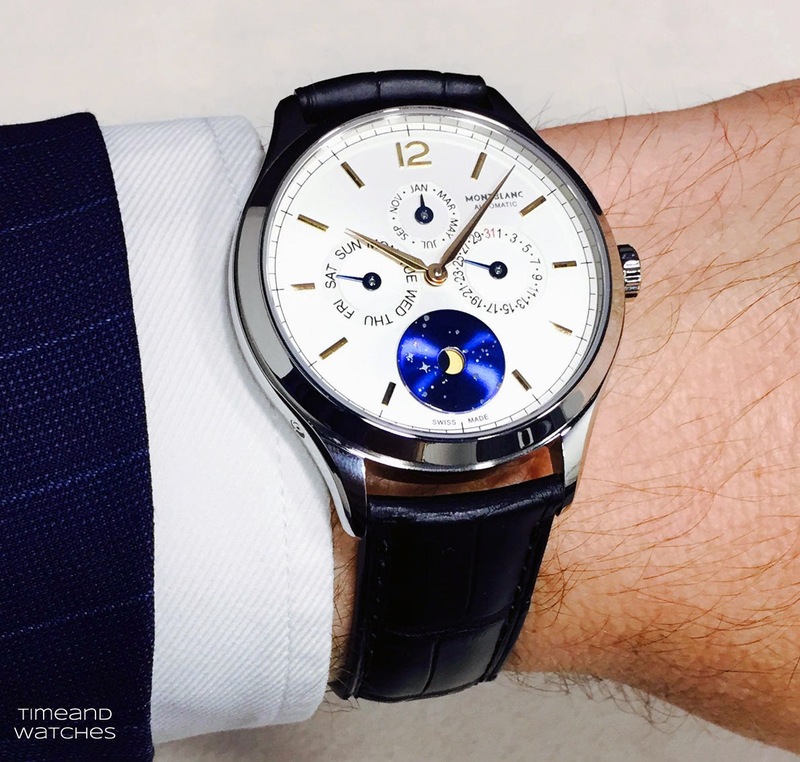 SIHH 2015: Montblanc Heritage Chronométrie Quantième Annuel Vasco da Gama. 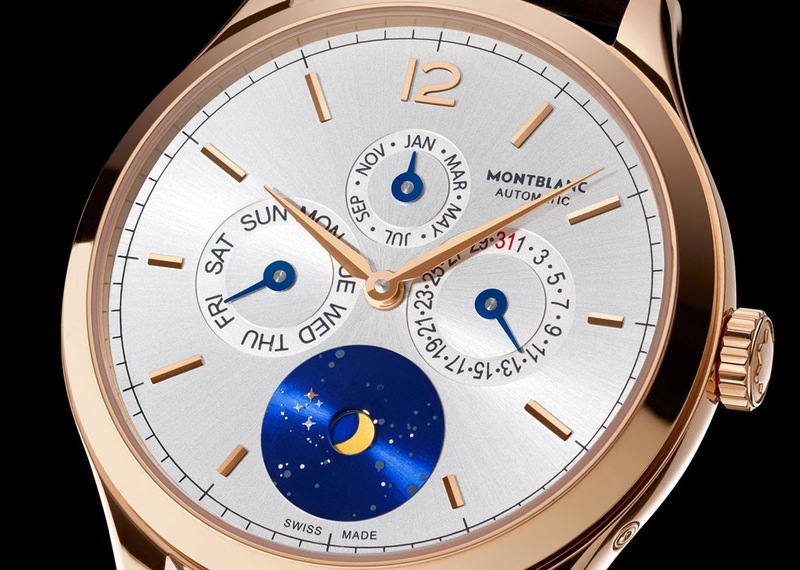 Montblanc's Heritage Chronométrie Collection includes an interesting and reasonably priced annual calendar watch. 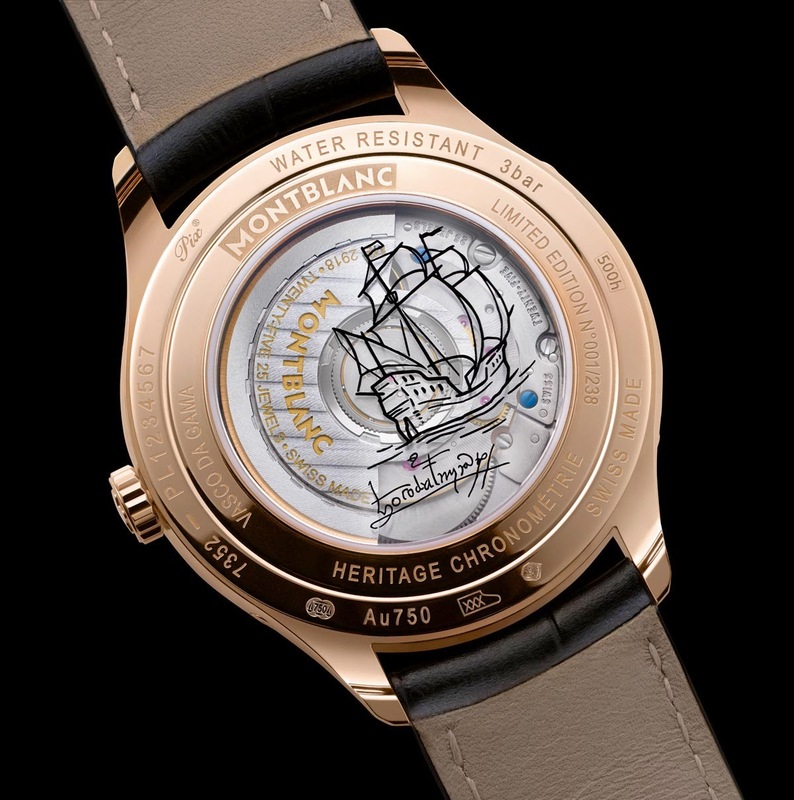 Showcased during the SIHH 2015, the Montblanc Heritage Chronométrie Quantième Annuel Vasco da Gama requires an intervention to adjust the date only once every year. The Montblanc Heritage Chronométrie Quantième Annuel Vasco da Gama is available in limited editions of 238 pieces in red gold and 316 pieces in stainless steel with retail prices of Euro 11,100 and Euro 6,650 respectively.